When I visit Kiev, I often ask my hosts: “What is Ukraine? What does it mean to be Ukrainian?” Watching Roger Federer play in Bâle this weekend, it was not difficult to understand what it meant to be Swiss; there were flags waving all over St. Jacques Arena as well as cow bells ringing. People had the Swiss cross painted on their cheeks. To be Swiss was to be behind Federer: to be behind Federer was to be Swiss. 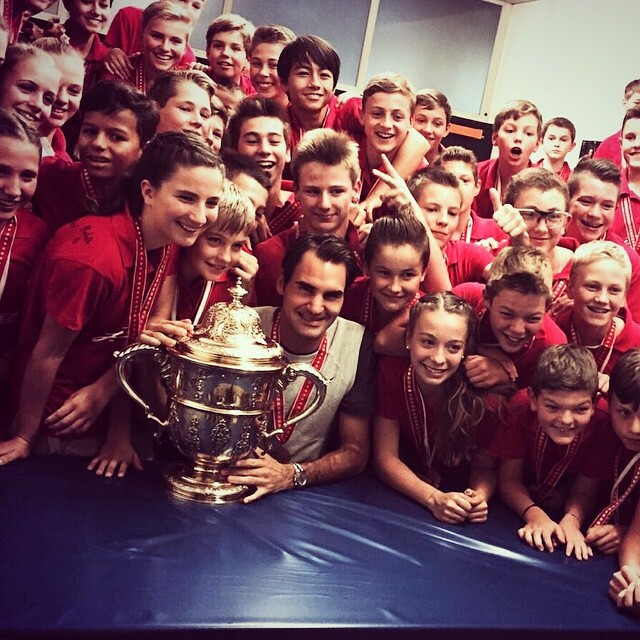 There was no doubt that Roger personified Swiss identity to the roaring crowd. Since the beginning of the 20th century, scholars and policy makers have talked of geopolitics, the relationship between geography and international relations. More recently, attention has been focused on chronopolitics, the relationship between time and space. Perhaps we have now entered an era of identity politics, where relationships between feelings of belonging and space are primary. Geopolitics began in the early 20th century with the work of the English geographer Halford Mackinder. His focus was on the importance of the Asian land mass and the consequent importance for Russia and later the Soviet Union to have access to warm water ports, certainly a consideration in the recent controversy over Crimea. If Ukraine becomes a member of NATO, for example, one could imagine NATO warships in the Crimea blocking Russia’s crucial access to the Black Sea and Eastern Mediterranean. Paul Virilio’s descriptions of chronopolitics relate directly to advances in technology and the new possibilities for globalized communication. Land masses and traditional calculations of time have radically changed, according to Virilio, with measurements now in nanoseconds, and cyber wars becoming the modern tools of sophisticated armies. While both geopolitics and chronopolitics are certainly still with us, identity politics adds another dimension to the modern security dilemma. Witness the recent outbreak of violence at the Serbia-Albania soccer match. The violence focused on identity, the flag of a Greater Albania inflaming the Serbian crowd. While geopolitics was based on geography and chronopolitics on technology, identity politics is based on feelings of belonging. One of the most thoughtful recent books is Benedict Anderson’s Imagined Communities: Reflections on the Origin and Spread of Nationalism. Anderson’s thesis, which has had very few serious critics, is that feelings of belonging are crucial and constructed. Communities, ethnic groups, religions, nations, all have means of creating a sense of belonging. Whether it is through anthems, flags, ceremonies, burials, national days, sports events etc., we feel we belong to something because of constructed events. We are not born with a sense of belonging, except perhaps to those who guarantee our safety and well being from a young age. What are the reasons for the importance of identity today? As a reaction to globalization, in a world of porous borders and boundaries, people are looking for some simple ways to be grounded, to feel that they are part of a face-to-face community. Very few believe they are citizens of the world or part of a larger humanity. Paradoxically, the world’s chat rooms have left an emotional void, a void that is an important part of our modern situation. The more we are technologically connected the more we feel alone; the more we are global, the more we search for the local. Watching Roger’s smile after his victory in Bâle was enormously re-assuring. When he entered the court for the semi-finals, the announcer crowed, “Welcome home, Roger.” Being in the arena with him, feeling the warmth he shared with the crowd, one can understand how a single person can come to symbolize a feeling of belonging, a feeling of being home. Bravo, Roger, and not just for winning the tennis tournament. 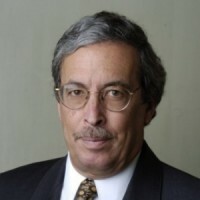 The article had first been publi­shed on Daniel Warner’s blog, hos­ted by la Tri­bune de Genève. Les peuples de l’euro en crise #5: en avant l’Europe !